We all have what is described as "energy of life" or Qi (pronounced Chee) that flows through our bodies and when it's low or out of balance it can show up as dis-ease, illness or pain. When it's high we get a little manic , stressed and rush, rush rush. When it's in balance we feel like we can do anything. Reiki is an intelligent energy and goes where it's needed without force or effort. It's a light touch on specific areas of your physical body. It's also effective for those who can't receive massage. 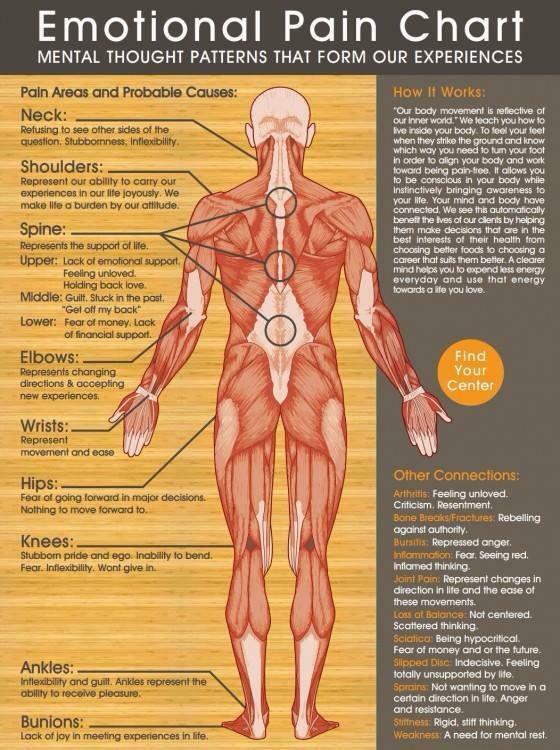 See the chart below for the emotional areas of your body where you will receive benefit with Reiki or Reiki Nemuri.